We are big fans of Kartell design and have been collecting their vintage items for many years now. It is so nice to see that Kartell continues to release beautiful new top-notch modern design at reasonable prices. 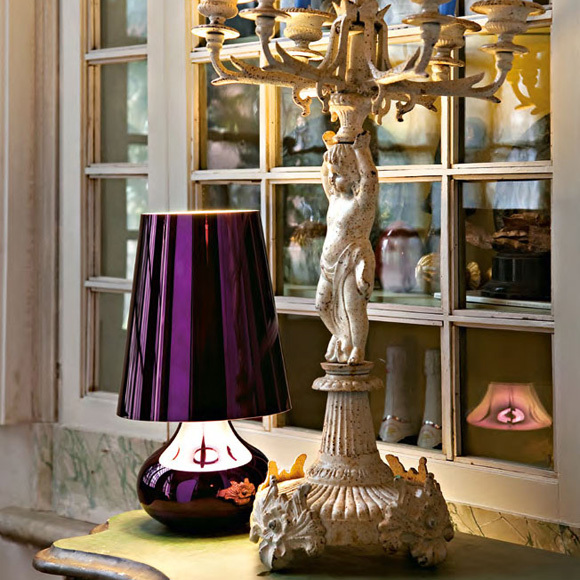 Case in point: Kartell's beautiful Cindy lamp designed by Ferruccio Laviani. A super stylish designer lamp with a truly timeless and very elegant appearance. A highly decorative lamp for the living room or use it as a table- or bedside lamp. 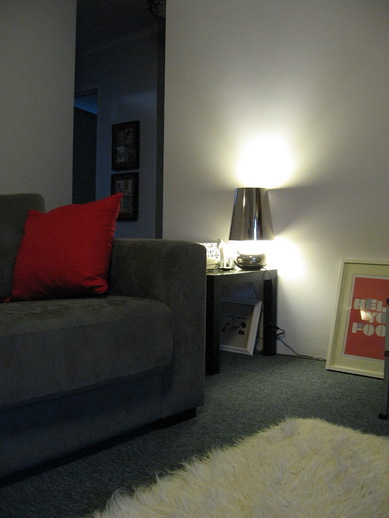 The perfect lamp to light a dark corner in any room or to add some atmospheric lighting to your living-room area. The Cindy lamp features a conical lampshade and rounded teardrop base. Kartell's Cindy lamp comes in a broad range of all matte metallic tones: platinum, bronze, mint green, tangerine, ultramarine, flamingo, gun metal and violet. Cindy's special feature is its shiny chrome-like finish that gives it a little contemporary twist , a touch of richness, radiating a multitude of iridescent reflections. 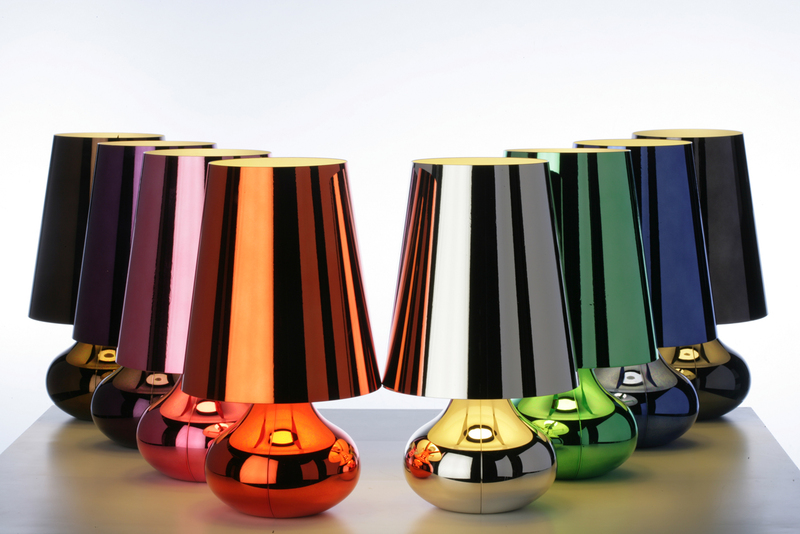 A tantalizing and stylish table lamp from the Kartell design collection. The perfect addition to any interior design. In Europe, it is common to decorate an old mansion with new modern objects. The above image is a fine example.